Spring is here and the gardens at Gaynes Park are showcasing their seasonal colours. 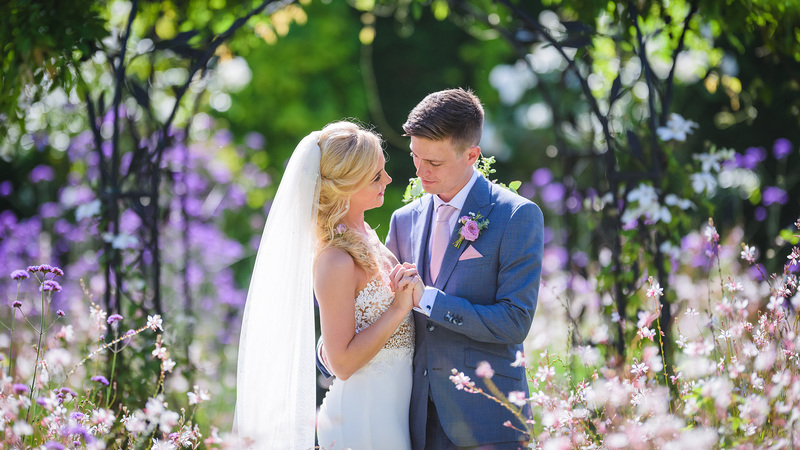 The Walled Garden and Long Walk are such pretty places at this time of year and create the most perfect backdrops for your wedding photos. 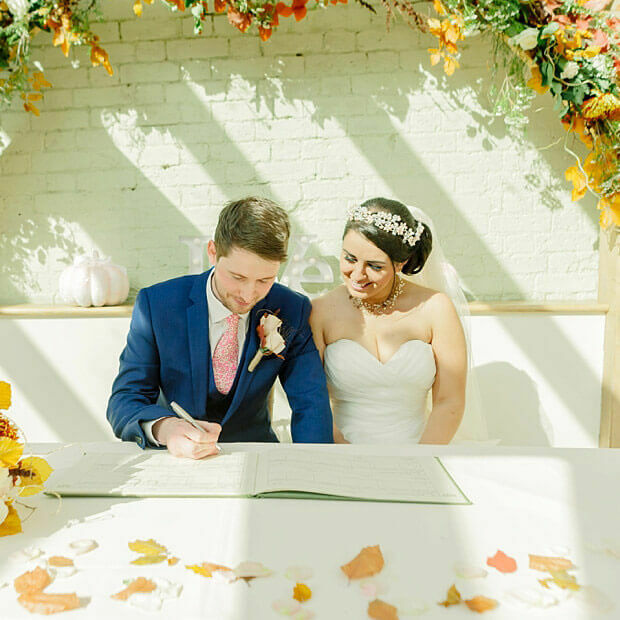 If you’re planning a spring wedding, you’ll be spoilt for choice when it comes to your wedding flowers. 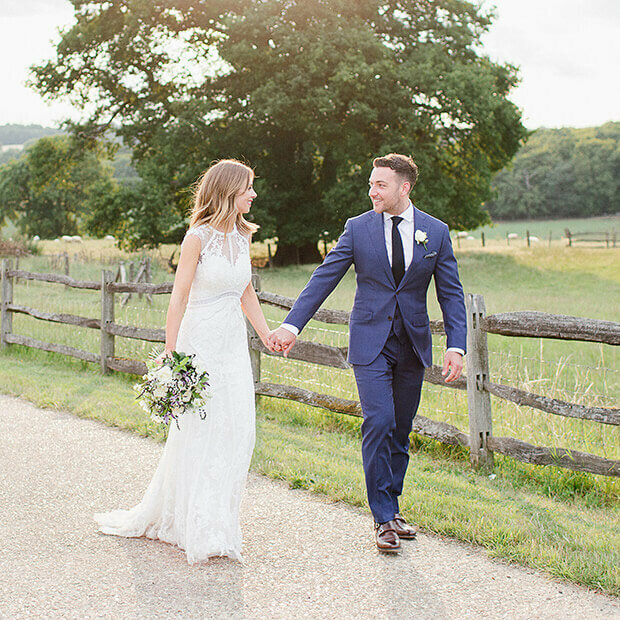 Here are some of our favourite blooms that will complement our gorgeous gardens and add beautiful decoration to your wedding ceremony and reception. Using seasonal wedding flowers for your big day is always a good idea. Lily of the valley, ranunculus and even peonies in late spring all work wonderfully well in bridal bouquets. You can also add sprigs of muscari and eye-catching anemones to bouquets and buttonholes as well. Big, bold hydrangeas and sculptural delphiniums come in the most gorgeous range of colours and these are great blooms to create a splash within your larger floral arrangements. 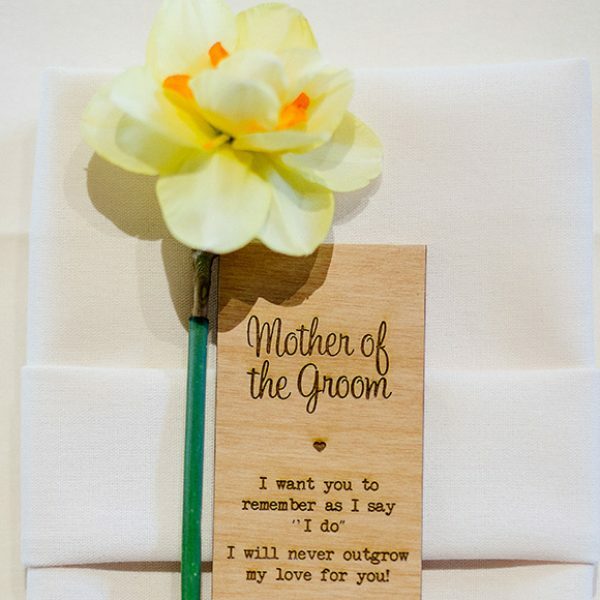 Use these in the Orangery to decorate your ceremony table or within table centrepieces in the Mill Barn. Including statement blooms in your arrangements can be really cost-effective because although these varieties can be more expensive per stem than others, you only need a few stems to make a big impact alongside any foliage. Roses always look gorgeous and they’re everyone’s favourite wedding flower with good reason. 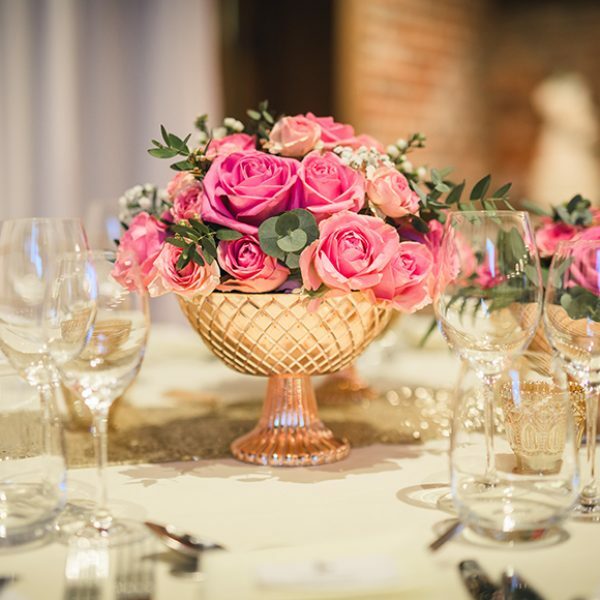 Not only do they come in a huge range of colours so work with almost any theme, but they’re also perfect for a whole host of floral arrangements, particularly table centrepieces. 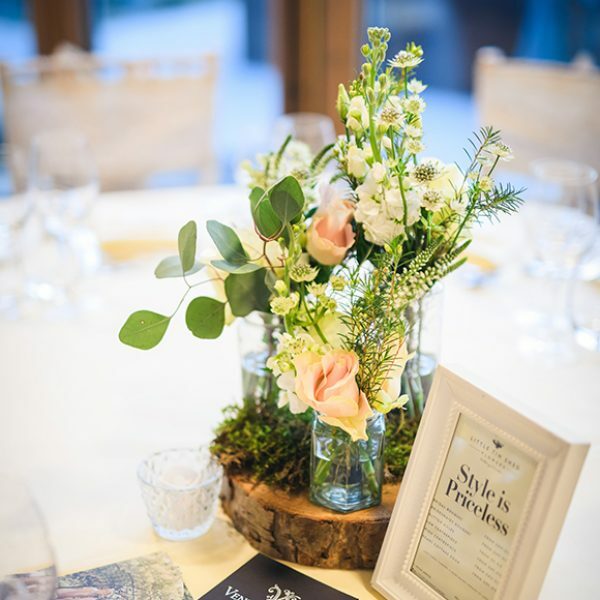 For a rustic arrangement pop a couple of roses in a recycled jam jar with some gypsophila or for a more elegant and luxurious look group an abundance of blooms together in a tall arrangement. If you’d like to add some scent to help you remember your spring wedding in years to come, nothing could be better than sweet peas. These are a gorgeous garden flower and they make dreamy table centres or delicate decorations for your wedding ceremony. These spring flowers will most definitely fill the Mill Barn or Orangery with a delightful perfume. Tulips are another flower that we all associate with spring and the feathery-edged varieties create a beautiful romantic look. 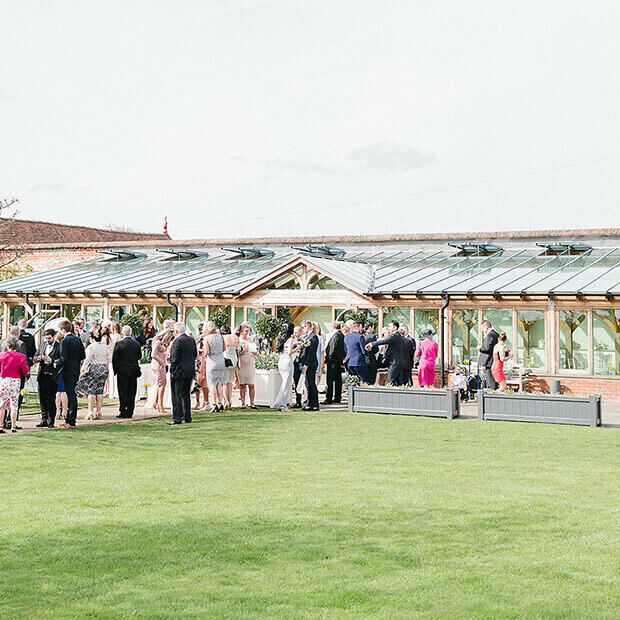 Alternatively, if your wedding is going to be all about colour, go for bold colours – hot pinks and purples are instantly eye-catching and will bring a big dose of brightness to your day. Of course, there’s one flower that just screams ‘spring’ whenever we see it and that’s the daffodil. 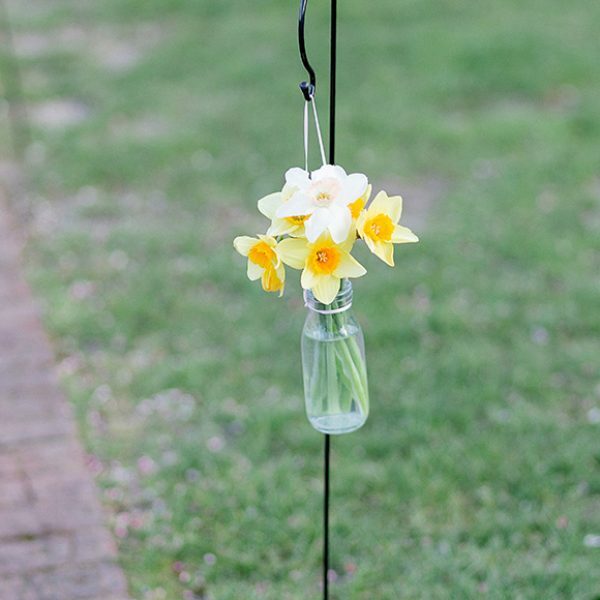 Daffodils, or narcissus to give them their proper name, are the sunniest spring wedding flowers around. They also come in a wide range of shades, shapes and sizes than you might think. 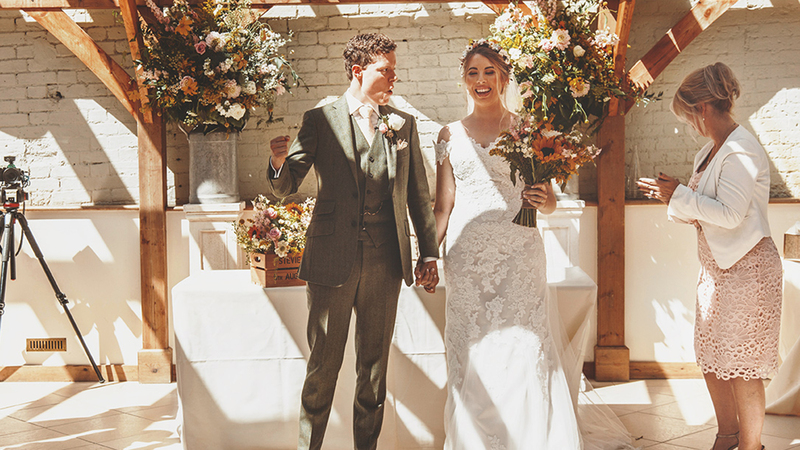 Bouquets, buttonholes and arrangements all look great with daffodils or, if you want to grow you own wedding favours, plant bulbs in terracotta pots and watch them come to life for your spring wedding! 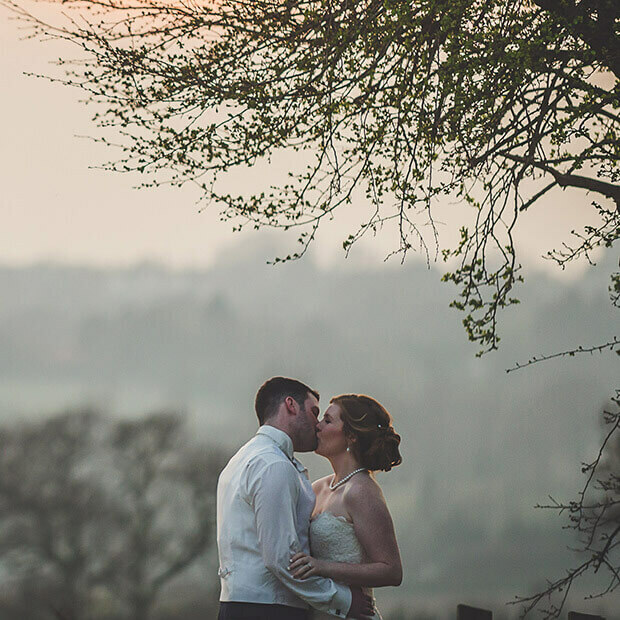 Take a look at our spring gallery to get a sneak peek at Gaynes Park in all its seasonal glory. Alternatively, why not come and see it for yourself? We’d love to welcome you for a spring show round so get in touch today to book a visit.